Those words invite questions. 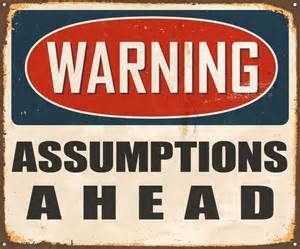 What shall we tackle first, the hidden assumptions or the terms? Critical thinkers, those who use the tools of reason and logic, usually focus on the terms in a premise or position in order to move toward understanding the viewpoint under consideration. Who came up with this obligation? In other words, what grounds it? Are there no other responsibilities besides economic and environmental? What about life preserving or educational or skill building among workers? A current national obstacle churning up much ‘Stürm und Drang’ is that citizens are split between very different world views and each holds SOME major values that are in opposition, one to the other. As I heard Al Mohler on The Briefing mention the other day, the varying worldviews mean that people will identify DIFFERENT problems! For example, if we disagree on the top 3 problems facing our country, how can we ever expect to compromise and coalesce behind workable solutions? So much for terms. Let’s move on to the lurking pre-suppositions! I did avail myself of the actual article. What about those dads who run companies that actually protect women and unborn female babies? Wouldn’t that contribute more to the welfare and vigor of our communities? How about balancing preservation concerns with the economic vitality of the company? If the company can’t remain competitive and grow a profit, then employees will lose out. Life is a complex system or web of intertwining issues. Pausing to pull apart an assertion and draw out the often-unstated assumptions, thereby seeking consensus about the fullness of the argument goes along with agreeing on the definition of terms. The time spent on this kind of groundwork is worth it. Once that prep work is done, discussing reasons for one’s point of view goes much smoother and quicker. And even if the defender and the questioner don’t agree, they can at least appreciate each other’s thinking!